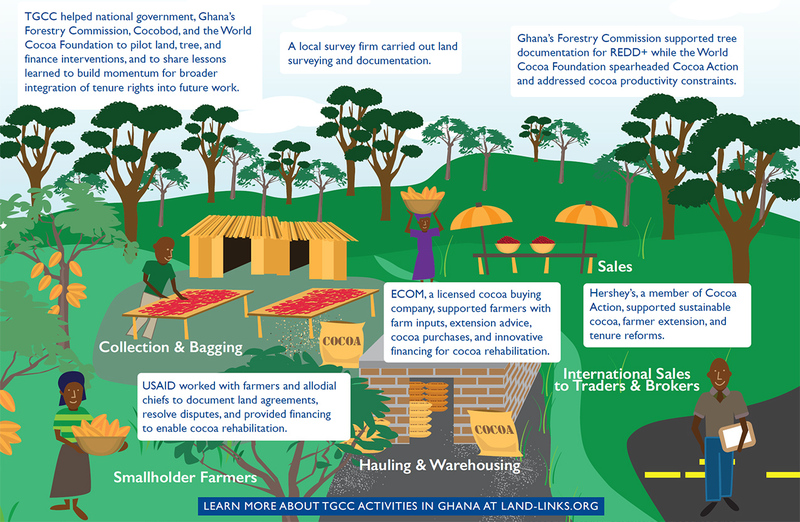 In Ghana, cocoa is a major contributor to smallholder livelihoods and export earnings, but is also a major driver of deforestation. 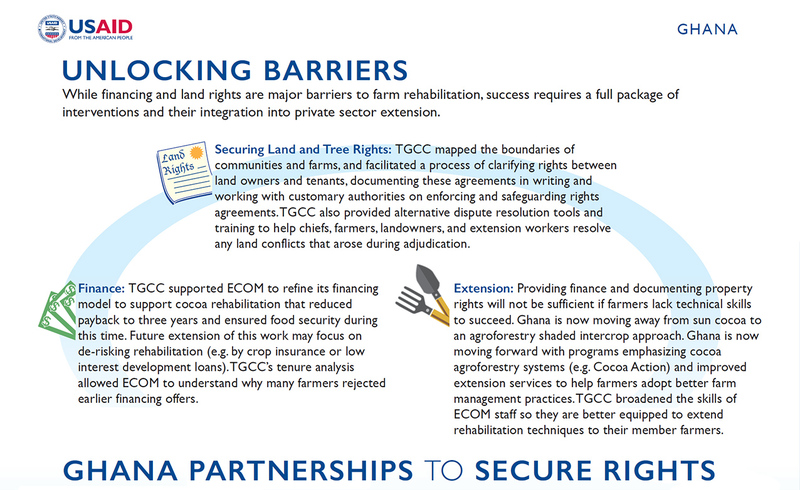 The Government of Ghana wants to more than double cocoa output by 2026 to increase farmer incomes and export earnings while also reducing greenhouse gas emissions from the cocoa landscape. A large expanse of cocoa land is experiencing productivity decline. Small growers who once carved out cocoa farms from old growth forests now suffer due to diminished remaining forests. 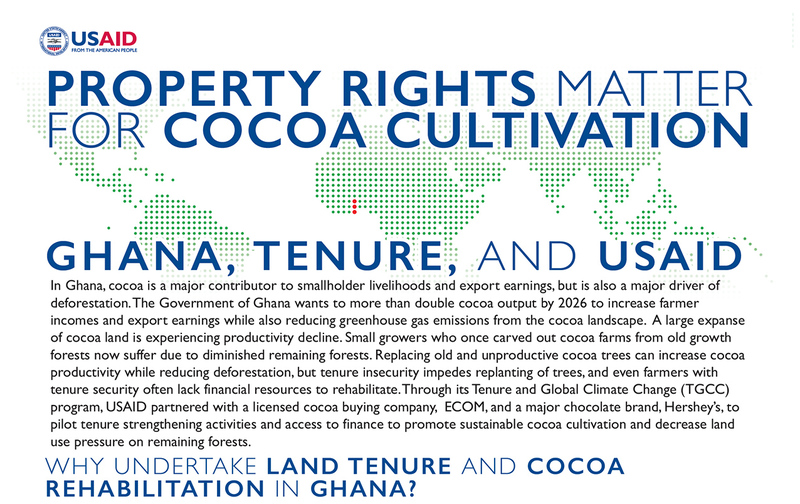 Replacing old and unproductive cocoa trees can increase cocoa productivity while reducing deforestation, but tenure insecurity impedes replanting of trees, and even farmers with tenure security often lack financial resources to rehabilitate. 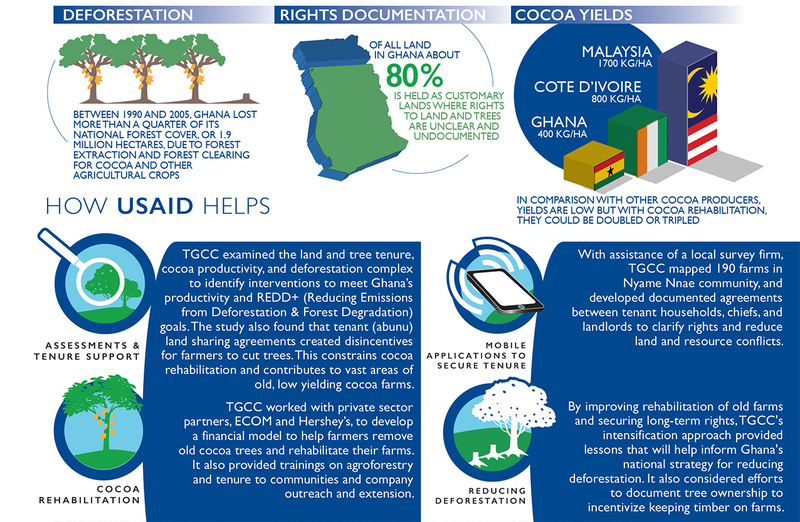 Through its Tenure and Global Climate Change (TGCC) program, USAID partnered with a licensed cocoa buying company, ECOM, and a major chocolate brand, Hershey’s, to pilot tenure strengthening activities and access to finance to promote sustainable cocoa cultivation and decrease land use pressure on remaining forests.